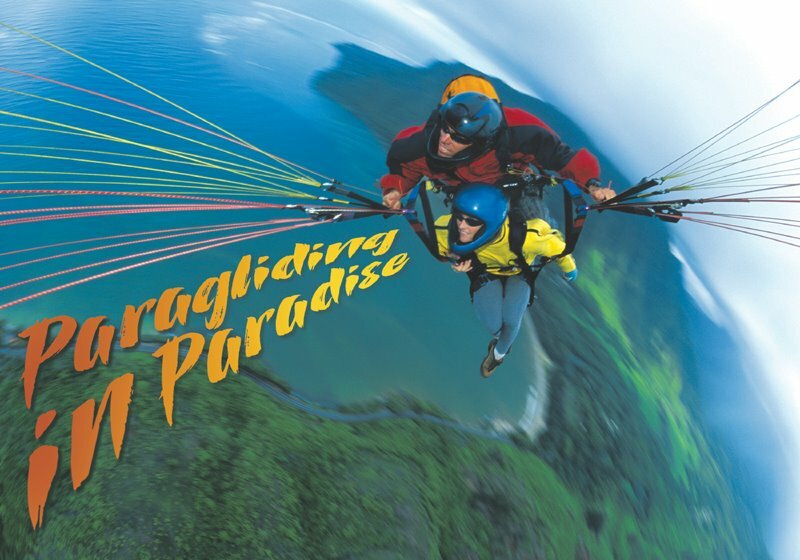 Knox Richardson, publisher of the free monthly Oahu Island News, called up a few weeks ago to see about doing an article on paragliding for his January edition. He talked to me, Pete and Bob, and got some pictures from Jimmy and from our web site. Unfortunately we didn't get a chance to meet with him or get him into the air, but he managed to put a good story together anyway, and I think it's a refreshing positive perspective on our pastime. If you get a chance, grab a copy and read the story -- the paper is available in stores islandwide. Or click here to see the online edition. Hi, this Knox Richardson of the Oahu Island News. Thanks for your kind remark on the story. Unfortunately, we had computer problem which led to some unproofed files getting into the paper, so there are couple typos in the story in the print edition. Being a powered PART 103 pilot and former instructor myself, at least I can say "nobody got killed" in the process. Good flying to you all!